Patricia Fili-Krushel is a senior media executive. As Executive Vice President and later Chairman of the NBCUniversal News Group, she worked to integrate operations with Comcast. Prior to joining NBCUniversal, she held positions as the Executive Vice President of Administration at Time Warner Inc. and the CEO of WebMD Health. She also served as President of the ABC Television Network, improving its ratings ranking from third to first during her tenure. Previously, she was President of ABC Daytime, where in addition to introducing the daytime talk show and cultural phenomenon “The View,” she conceived and launched Soap Net, a 24-hour soap opera cable network and a billion-dollar asset. Fili-Krushel has appeared multiple times on Fortune’s list of “50 Most Powerful Women” and received numerous awards, including New York Women in Communications’ prestigious Matrix Awards. Currently, she is Vice Chair of The Public Theater of New York and Chair of the Berkshire Film Festival. 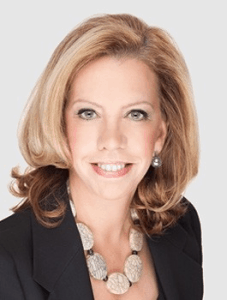 She also serves on the Boards of The Estee Lauder Foundation, The Center for Talent Innovation where she is also interim CEO, and the Dollar General Corporation. Past Board service includes: Lifetime Television, Oxygen Media, Now This News, and Revere Media, as well as the Executive Committee and the Board of Governors of the Academy of Television Arts and Sciences. She is past President of New York Women in Film and TV. She holds a B.S. degree from St. John’s University and an M.B.A. degree from Fordham University. Pat joined the PEN America Board in 2018.